Surprisingly little of the attention and funding turned to personalized, predictive, preventative medicine has focused on the female reproductive system: pregnancy onset cannot be quickly identified, menopause onset and trajectory remain entirely mysterious, and adverse reactions to tools like hormonal birth control are difficult to anticipate. Importantly, there are no automated, cheap, high-accuracy methods for predicting ovulation in the diverse population of cycling people. Existing methods are based on once-daily measurement of basal body temperature (BBT). These are prone to sampling error, unreliable for people with irregular ovulatory cycles, and make use of only one minute out of the 1440 available as data points per day. Although some pricey new devices aim to tackle the pitfalls of BBT via more frequent measurement, they mostly hold their analytical techniques as company secrets, making their estimations difficult to understand or trust. So, if you are trying to get pregnant, trying to not get pregnant, or trying to understand anything else specific associated with your cycle, maybe you share my more general question: What can we learn about ourselves from continuously tracking body temperature across the cycle? As part of my graduate research, and in collaboration with the Quantified Self community, I’m organizing a “participatory research project” on ovulatory cycling. To capture the uniqueness in individuals’ cycles, and to work towards predicting features of interest, we’ll measure continuous skin temperature, as well as luteinizing hormone (LH) and a range of other metrics. From my prior research, I’ve seen that mammals (including humans) have distinctive patterns of body temperature around ovulation, but that there are wide individual differences in the way temperature changes across the cycle. It’s my goal to characterize both the uniqueness of individuals and the common patterns preceding ovulation. I will of course release the analytical tools I build open-source. In this project, I’ll be requesting permission to work towards publishing results containing de-identified data from participants, but keep in mind that data sharing is completely optional; you’re still invited to join if you want to keep your data completely private. We recently tested the plausibility of this style of participatory research in a year-long project exploring blood cholesterol variability. Thanks to research support from Amgen, participants had access to testing instruments that allowed them to measure their own cholesterol. We measured our blood cholesterol as often as hourly, and met every week or two to discuss our projects. We showed the work at QSPH 18, participants made a range of personal discoveries, and we generated two manuscripts, currently in review, to report our results. If you think you might be interested in participating, we’re going to have a breakout discussion at QS18 called “Map Your Ovulatory Cycle With Continuous Body Temperature”. There, we’ll outline the proposed structure of the project and get a sense of what questions would be most interesting to ask with this data. 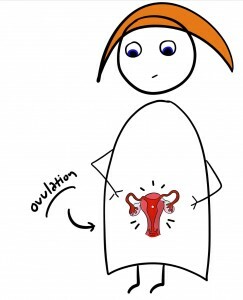 I’d like to see if we can identify ovulation and menses onset, but there are many other possible topics. Are you interested in menopause? Pregnancy? Effects of disturbed sleep? Are you a non-cycling person who is interested in continuous, non-invasive biomarkers? If you can make it to QS18 in Portland, please come to our session and bring your questions!